Etched with a personal message, ''I love you to MOON & BACK,'' this necklace is a perfect way to tell that special someone how you feel without you even saying a word. 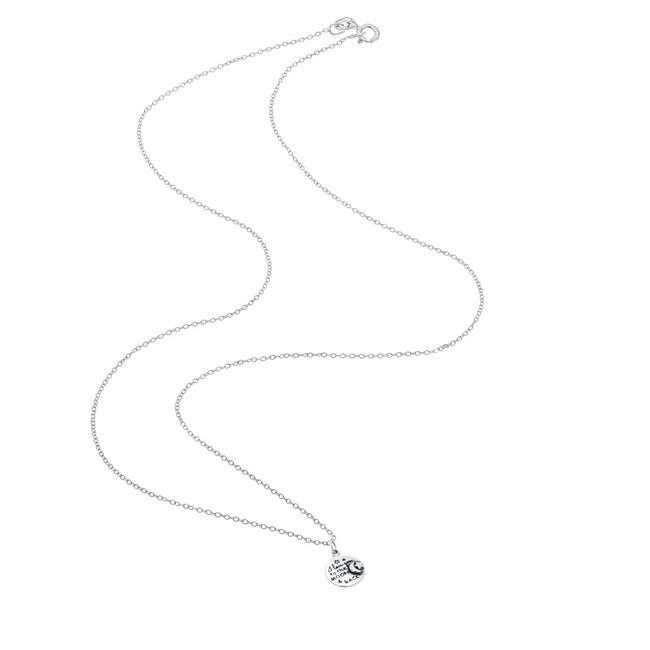 This elegant sterling silver rope chain necklace with an etched round pendant charm is a statement making piece of beautiful design. The necklace features a secure O-ring spring clasp for carefree wear. Sits beautifully on its own or when paired with other designs. Perfectly suited for everyday wear/evening outings and makes for a great gift.